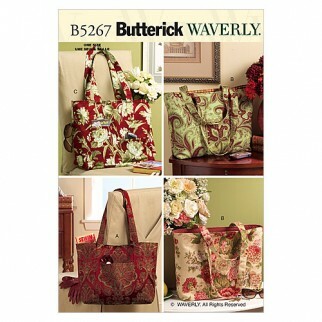 Package includes patterns and instructions for three totes, 15inch x 13inch x 5inch. 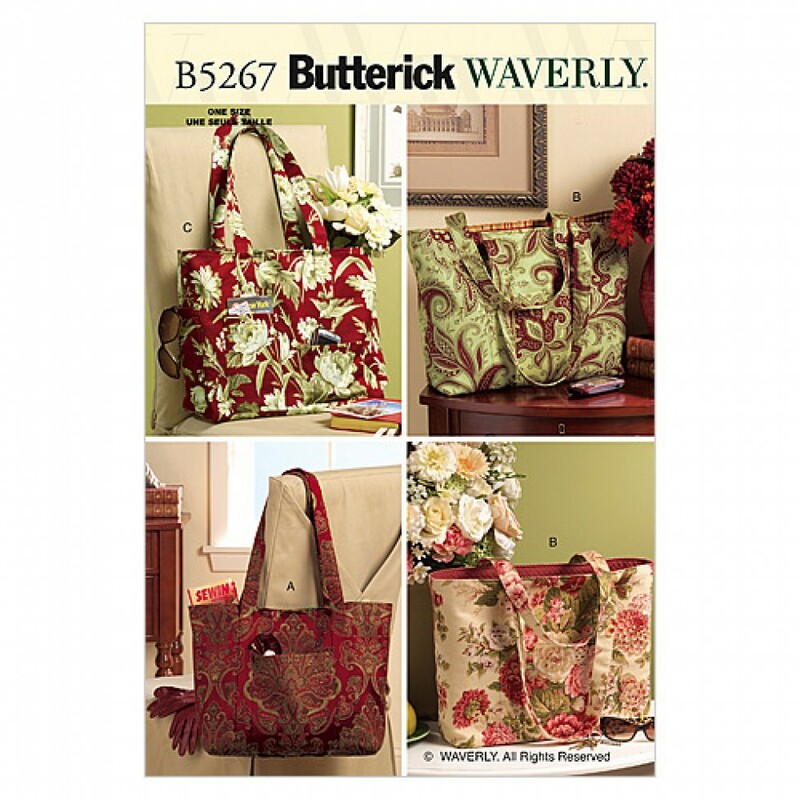 Tote A, B: front pocket and self fabric straps. Tote C: two front pockets, one side pocket and self fabric straps. All totes have contrast lining, inside pocket and purchased magnetic snap closure. Measurements are approximate and exclude handles. ©WAVERLY. All right. Reserved.